On Tuesday February 23rd, Governor Cuomo joined labor leaders from across Long Island to call on Albany to raise the minimum wage to $15 an hour. 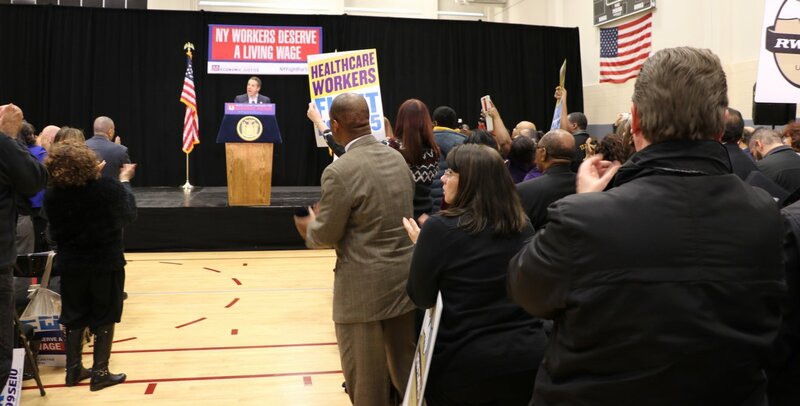 "This is the right fight," Cuomo told more than 200 union members and Democratic officials at the Yes We Can Community Center. "This is about fairness for all; opportunity for all."